Ohio Oddities 2nd Edition . 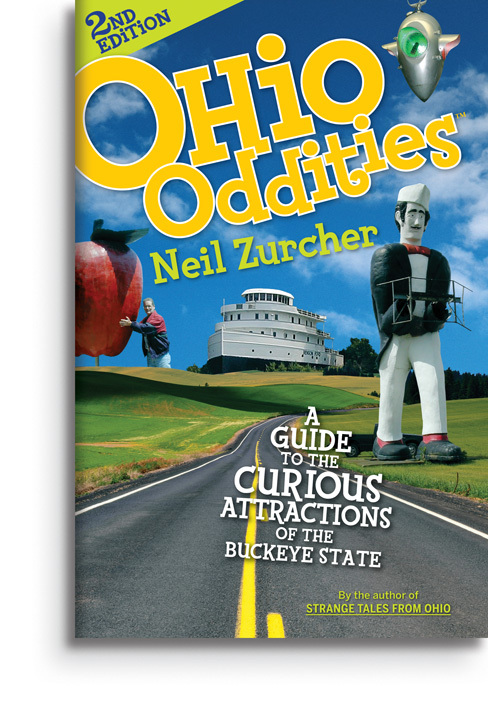 . .
An updated and revised edition of the very popular guide to Ohio’s strangest roadside attractions by Neil Zurcher–the veteran TV newsman who has driven more than a million miles in Ohio covering local travel. Find out where you can visit the world’s largest cuckoo clock, Clark Gable’s birthplace, Napoleon’s horse, a vacuum cleaner museum, and more. Zurcher’s eye for unique and fun attractions can turn any road trip into a car ride through the Twilight Zone. This entry was posted in Books and tagged Ohio Oddities on November 4, 2008 by Neil.